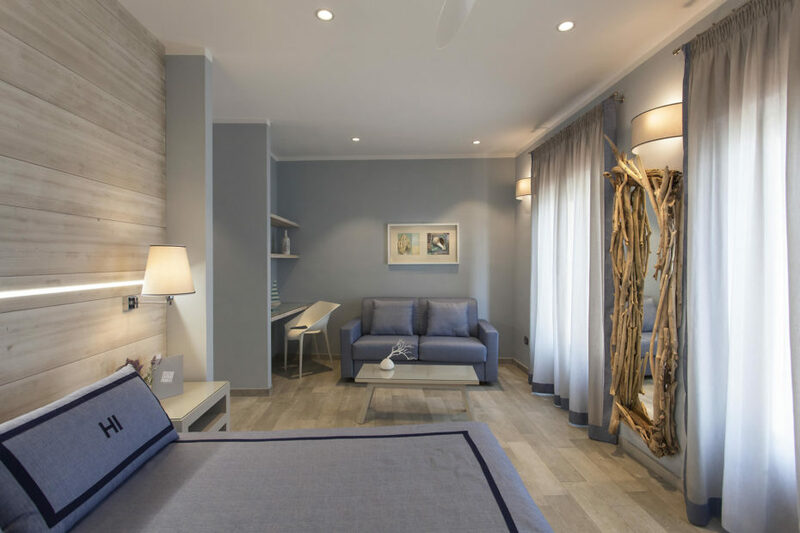 Hotel Ilio, has recently renovated all bedrooms, the seafront suite and the reception areas, with the help of Italian architects who rose to the challenge of creating a hotel with four different styles of interior design. “Choose your favorite style” is how guests, according to the style that appeals most, can book from the website of the hotel or from our online booking page. Each style, Mediterranean, Tuscany, Contemporary and Essential, is inspired by clean lines and contemporary Italian taste, but adapts to suit subtle differences in personality and preference. 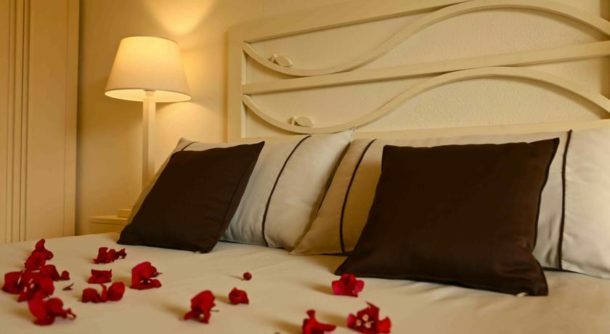 The hotel is situated on the marvellous Bay of Sant’Andrea, one of the most popular places on the island and renowned location for films, commercials and photographic services. Relais “Il Termine” is situated on the eastern side of the island, sheltered by the cool Mediterranean maquis, on a promontory overlooking the delightful and popular seaside resort of Cavo in the municipality of Rio Marina. It is a country resort because of its location and it is also a popular “fishing hotel”; guests can join intense, fun fishing trips on board one of the four fast, comfortable “Fisherman” the hotel makes available. These boats can travel to the best fishing places around the island very quickly and in maximum safety. And on your return, what could be better than a plate of tasty local cuisine and a snooze by the Relais’s swimming pool? A farmhouse in typical Tuscan style immersed in an olive grove, from which takes its name, the Casa degli Ulivi (house of olives) is a delightful eco-resort located just minutes from Porto Azzurro. The many eco-solutions such as water heated by solar panels, choices of renewable energy and even massages using natural products will be particularly appreciated by lovers of environmental sustainability. There is very wide choice of rooms, both by type and by price range. The superior suites with panoramic views over Mola Creek and with direct access to the sun terrace are particularly beautiful. We recommend you go for a swim in the pool; there are breathtakingly panoramic sea views.